Over the next ten years, approximately three million manufacturing jobs are expected to be created. 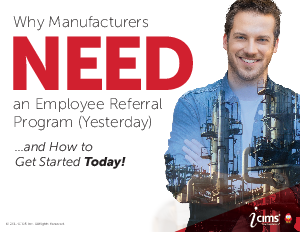 While this growth is exciting, it can also be daunting as the manufacturing industry has faced unique hiring challenges for some time. this industry need to approach talent acquisition differently.